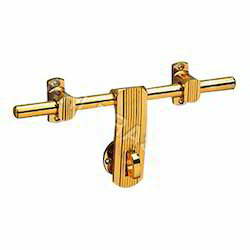 We are leading manufacturer & supplier of the Brass Aldrops, which is appreciated by all our customers for its great quality. Our products are manufactured using high quality materials. We are into manufacturing and supplying of a wide range of Brass Aldrops that can be used for domestic and industrial purposes as well. Ensuring the premium quality of the range, we manufacture the range of brass aldrops in various shapes and sizes. Having multiple uses, these aldrops are manufactured using high quality raw materials. The product range is highly regarded for its premium quality and durability in the market.